Scanned copy of image from annual report of Miners' Welfare Fund, 1934, Figure 25, Aitken Colliery Baths, Fifeshire. From left to right are the pit entrance block, the bath houses, the tower containing first aid rooms and water tanks, and the clean entrance. Visited by RCAHMS (SH) 20 September 1991. Shaft/Mine Details: 2 shafts, No. 1 (1896) 370m (NT 1551 9481), No. 2 (1923) 183m (NT 1555 9481) and sunk in 1923, linked to Lindsay Colliery [NT19SW 61]. Details in 1948: Average output 2,000 tons per day, 460,000 tons per annum. 1,368 employees. Baum-type washery (coal cleaning system using water and compressed air), National Coal Board (NCB) generated electricity at its own power station, the largest at any colliery in Scotland. Baths (1934, for 912 men, with 80 shower cubicles and steam-heated lockers), canteen, first-aid centre. Mechanisation of underground haulage already under way in 1947, introducing large mine cars, locomotive haulage and skip winding. Report dated 16-08-1948. Other Details: Named after the Fife Coal Company's chairman, Thomas Aitken of Livingston. 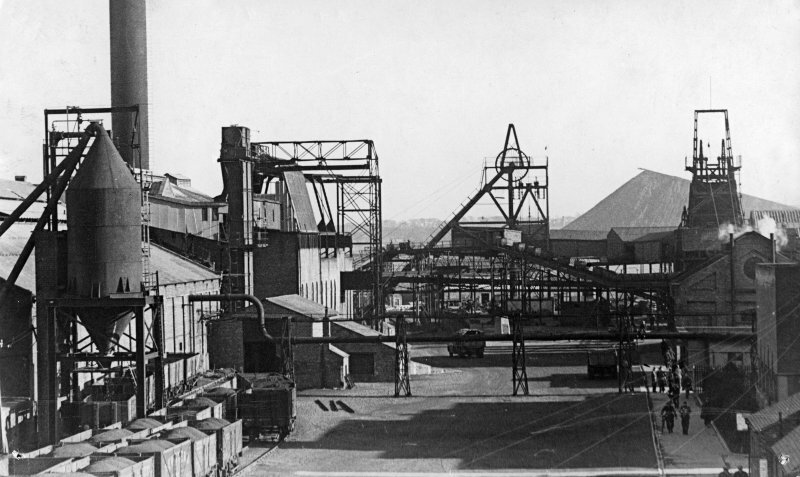 The first Fife Coal Company colliery, a showpiece pit, and at the time, said to be the largest coal mine in Scotland. 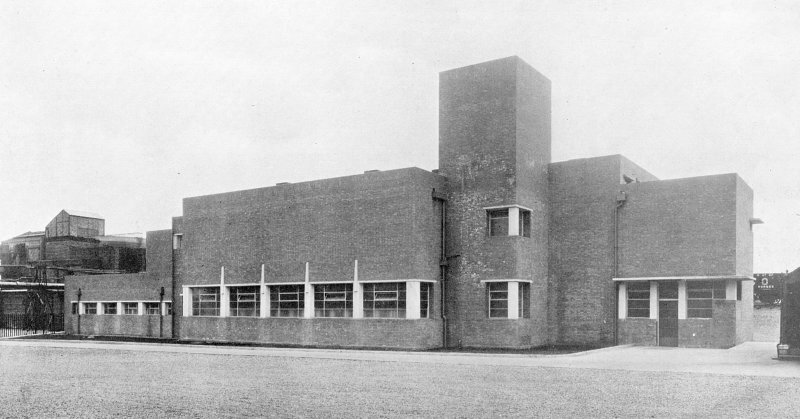 Aitken Colliery Baths, Fifeshire: (see SC 1073900) Opened: 25th August 1934. Acccommodation: 912 men. Cost: £13,635. Architect: JA Dempster, Miners' Welfare Committee.